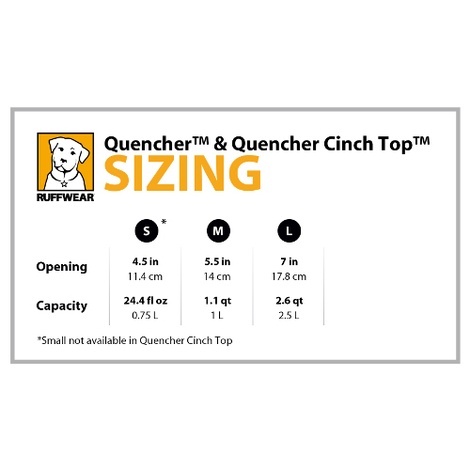 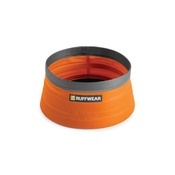 The Ruffwear Quencher Cinch Top Bowl is part of a wide range of accessories available from this practical brand. 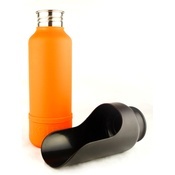 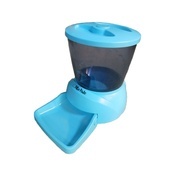 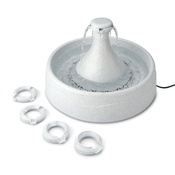 The bowl is waterproof, closeable and collapsible. 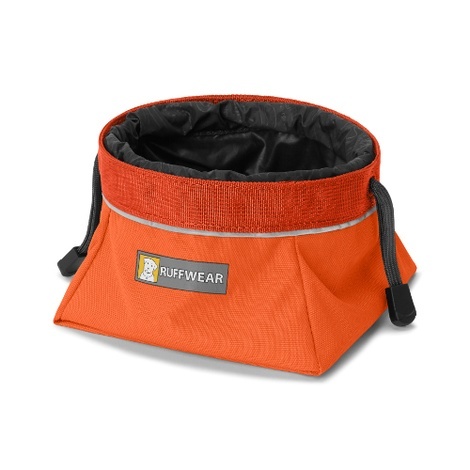 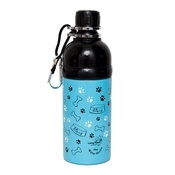 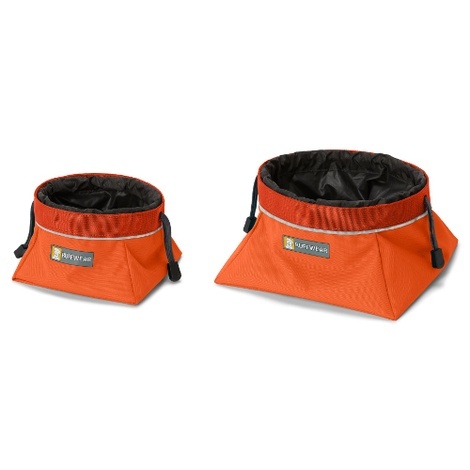 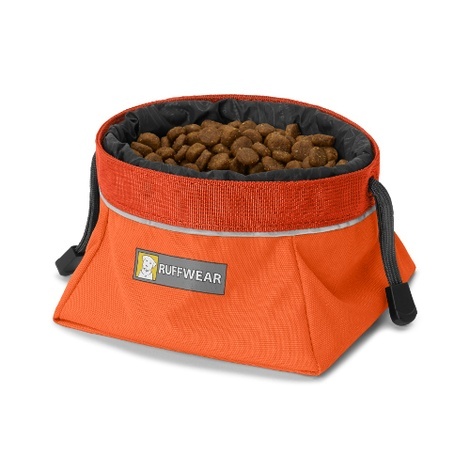 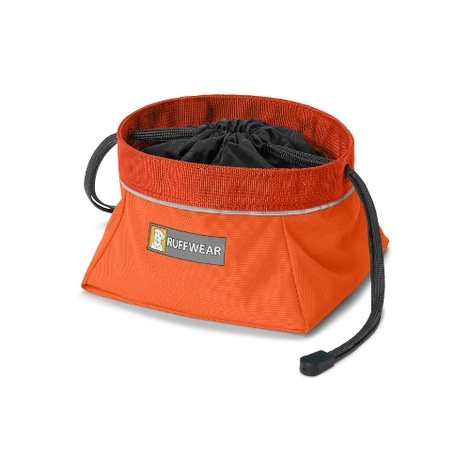 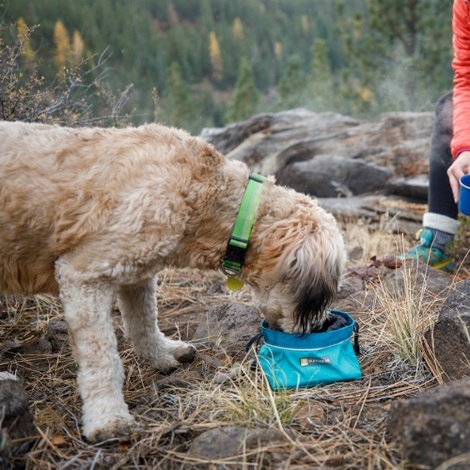 It is great for hungry dogs on the trail, at base camp, or on the go.